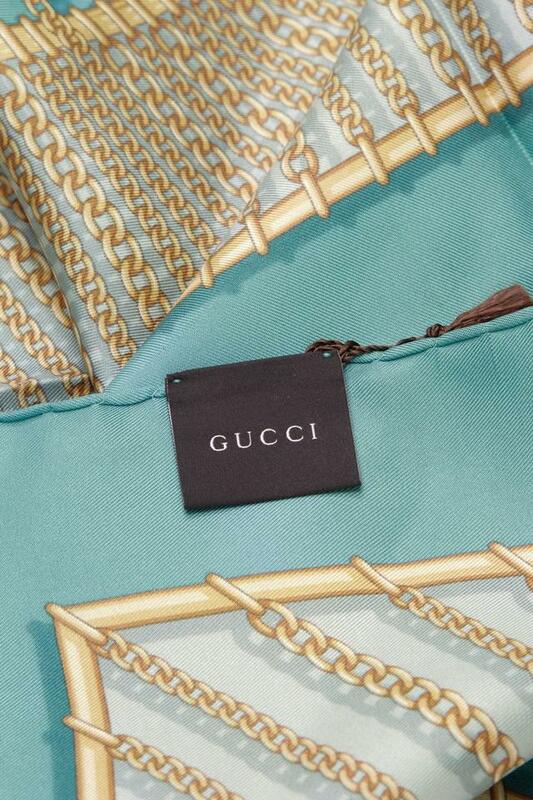 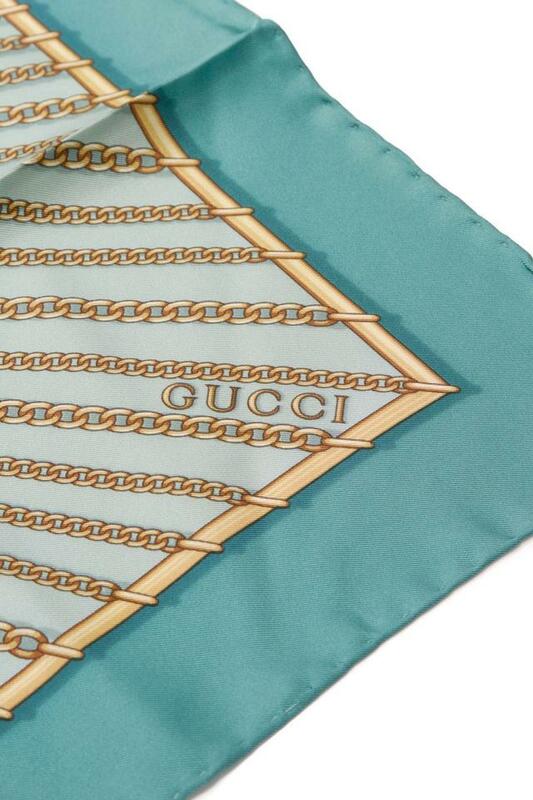 Fall in love with this authentic Gucci Chain Link silk scarf. 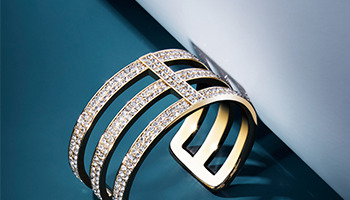 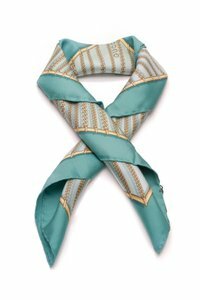 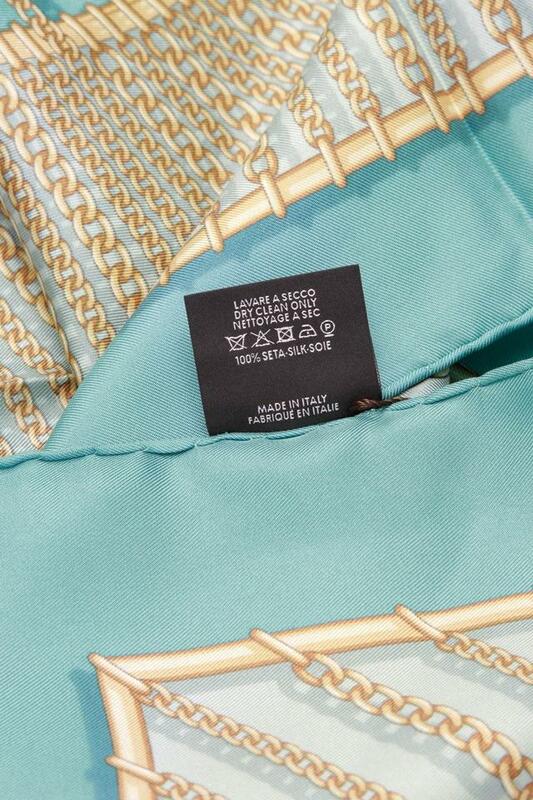 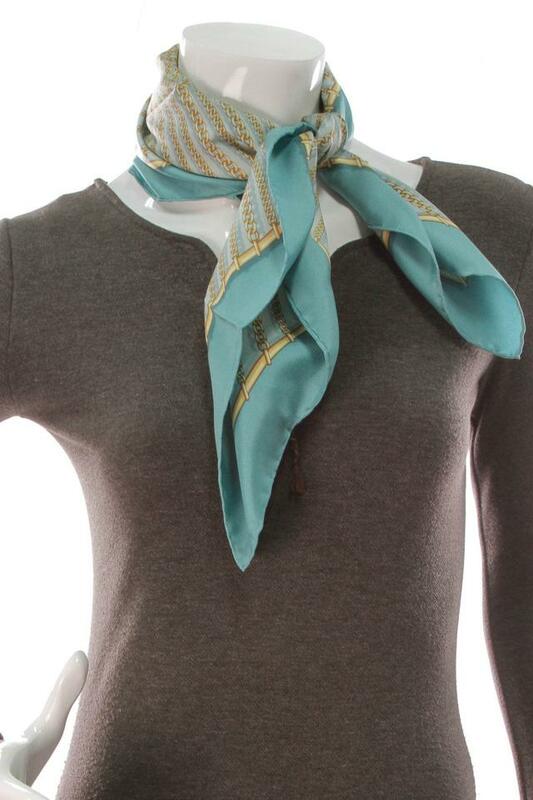 In this chic piece, a teal-hued silk construction houses the iconic GG logo centered in gold chain link detailing. 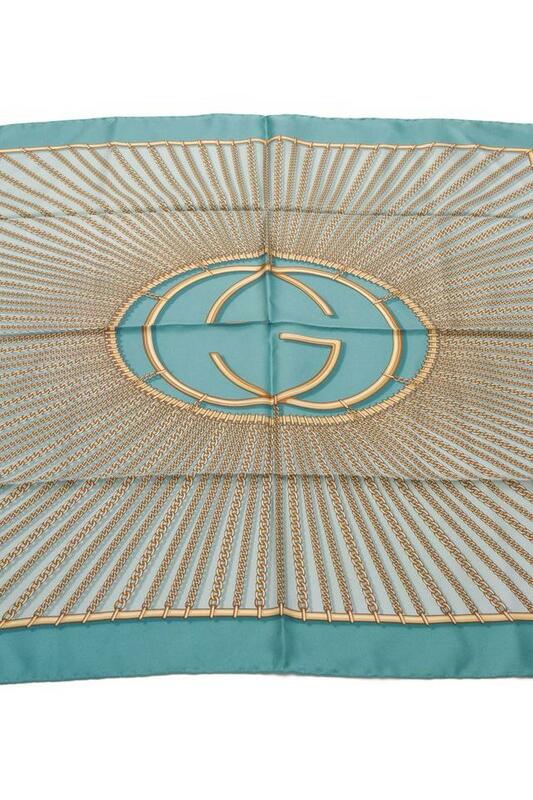 A classic yet comfortable accessory, this fun Gucci scarf is the perfect finishing touch for a variety of looks.